We have the full range of goals made form re-enforced aluminium. Any size and design. Socketed or portable with or without wheels or nets. Contact us for full details and please compare our price to any other company. Full size match pitch. 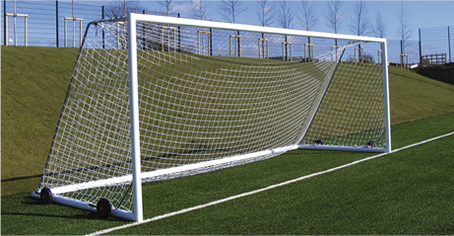 For training and organised match games.